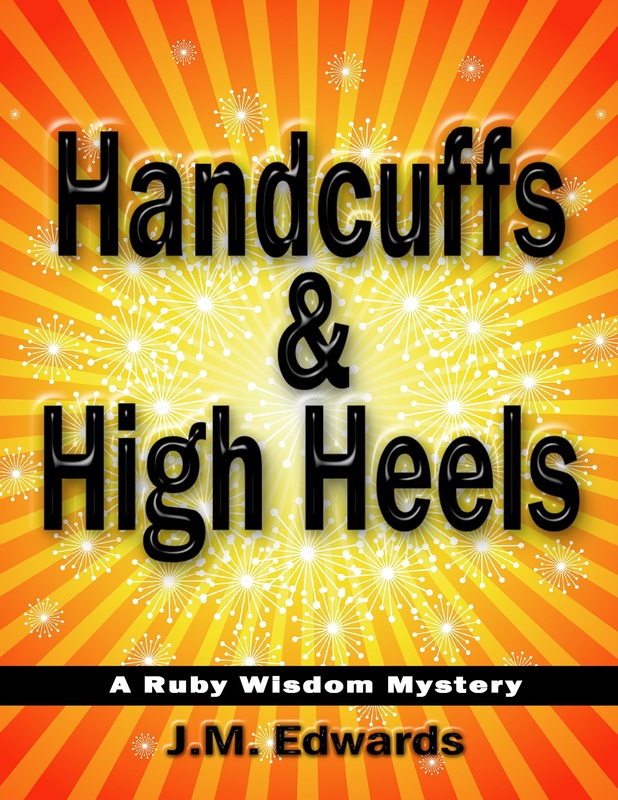 Handcuffs & High Heels by J.M. Edwards – Great Escapes Book Tour – Giveaway too! This story is all about the characters. Ruby Wisdom, ex-wife of the local sheriff, is a P.I. you don’t want to mess with. She has gained a lot of wisdom herself over the years to live up to her name. She is a woman with curves and her favorite snack is Little Debbie Swiss Cake Rolls. She is dating a younger man, Clint. Her is a UPS delivery man who not only looks great in his uniform but makes her happy and treats her right. Her Aunt and Uncle are today’s version of the Bickersons. Her mother tries hard to just keep everyone getting along but can always throw a few zingers in herself as well. Her latest case is to get evidence that the local car dealer is cheating on his wife, which isn’t too hard because the whole town know he is and he is bedding more than one woman that is not his wife. One of them happens to be Ruby’s boyfriend’s sister! Sadly before his wife can even file for divorce the guy ends up dead. Tripp, the car dealer really isn’t much to look at and he treats his wife like trash and barely tolerates any of the women around him but money makes certain women want to be with him. He is an easy character to hate and one I wasn’t hurt to see dead. The storyline was tight and there are plenty of suspects. I really enjoyed the humor throughout the whole book. The dialogue between all the characters was fun to read. This series is off to a splendid start. I look forward to reading the next Ruby Wisdom mystery. Thank to the author I have one copy to giveaway! I might have to clock the “Bickersons,” but the rest of the characters sound fun. Plus, I like women in non-traditional roles. I think I’ll check this one out. There is no space for mailing address on entry form. Is this new?? Review/Giveaway – Death at the Black Bull by Frank Hayes Cozy Wednesday with Hannah Reed – Author of Off Kilter – Giveaway too!